This year the Office of the Integrity Commissioner has received a record number of lobbyist inquiries about the offering of gifts to public office holders. Can light refreshments be offered at a Queen’s Park reception? Can MPPs be sent a basket of a company’s products? Can ministers’ staff accept a ticket to join lobbyists at a table at an event where an MPP is the featured speaker? Some gifts are readily determined to be problematic: a ticket to a sports or cultural event, meals at a restaurant, flowers and gift baskets. Others may require more analysis. To answer these questions, we start with s.3.4 of the Lobbyists Registration Act, 1998. This section states that a lobbyist should not place a public office holder in a position of “real or potential conflict of interest”. Remember: the gift rule starts with an absolute prohibition on the receipt of gifts, and then offers important, but limited, exceptions. The bottom line: Lobbyists should be cautious about offering a gift or benefit to a public office holder. This could lead to the individual being placed in a real or potential conflict of interest, either at the time or in the future. If that happens, a lobbyist could be found to be non-compliant with the Lobbyists Registration Act, 1998. When in doubt, seek an Advisory Opinion from the Integrity Commissioner to find out if the gift or benefit you want to offer is appropriate. You can do this by sending a detailed email to lobbyist.mail@oico.on.ca. 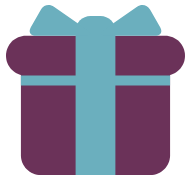 You can also review our guidance for lobbyists about gifts. When you update your account profile, submit a change of senior officer or terminate a registration, this Office will review those changes before they are published. This means the changes you make won't be visible on your account right away. We will review the changes as quickly as possible and will send you a confirmation email when the changes are published. No need to keep submitting. 1) Companies or organizations that have in-house lobbyists require only one registration in the name of their senior officer (e.g. CEO, Executive Director). 2) Every employee who is lobbying must be listed in the registration, along with the date they began lobbying - not their employment date. 3) Remove employees from the lobbyist list within 30 days of their leaving the organization or when they are no longer lobbying as part of their duties. Add those names to the list of employees no longer lobbying and keep them there until the next semi-annual renewal. 4) If the CEO or Executive Director changes, the account profile must be updated within 30 days. Use the "Change Senior Officer" option. 5) If there are any changes to the information in the registration such as lobbying activities, lobbying targets, government funding or even address, you have 30 days to make those changes. Do not wait until the semi-annual renewal! Use the "Change an existing registration (not a renewal)" option. 6) The registration must be renewed every six months. You'll receive a reminder email and will have 60 days to review and renew your entire registration. Please note: You must still adhere to the 30-day requirement for submitting any changes during the renewal period. The Office of the Integrity Commissioner is using the email marketing firm Cyberimpact to deliver this newsletter.